We found the hottest new rivers, lakes, and streams—one for every state—to catch big bass, trout, walleye, catfish, and more. Road trip, anyone? Everything in fishing changes. On the minutest level, that change can be as simple as fish suddenly turning off of green-pumpkin worms after they’d been hammering them for hours, or a slow bite ­suddenly going bonkers before a storm. In the grander scheme, what can also change is the overall quality of an entire fishery. Sometimes lakes or rivers that were hot for decades suddenly go cold. It can happen for any number of reasons. On the ­contrary, removal of dams, a revival of water ­quality, or a regulation change can revive a struggling fishery or turn what was a little-known body of water into a big-time destination. To get the most up-to-date skinny on which bodies of water are trending now, we reached out to biologists, conservation officers, guides, pros, and local sharpies in every state. Here are their picks. Alabama is home to some of the best bass lakes in the U.S., but Lewis Smith Lake wasn’t one of them until recently. The deep, clear lake that seemed lifeless for years currently has a thriving fishery thanks to the newly flourishing blueback herring population, which largemouths and stripers are chowing down on. The Situk gets less attention than some of Alaska’s other rivers, and while it sees its share of traffic during the spring and fall steelhead runs, anglers all but disappear in the summer. Big mistake, because the Situk has strong runs of pink and sockeye salmon waiting for anyone seeking solitude. A fish kill in 2005 decimated Saguaro’s largemouth population. However, with rejuvenated grass growth, clean mountain water flow, and a resurgence of baitfish, the bass population has rebounded big time. Saguaro is now a top trophy lake in Arizona, and one that the locals consider a hidden gem. Lake Ouachita has seen a recent boom in its shad population, and with it came a boom in the number and size of stripers and walleyes. The state also recently lowered the minimum possession length of bass to 12 inches in an effort to urge anglers to fill their coolers with smaller fish and let the bigger ones go. California is known for its big bass lakes, but Skinner Reservoir is a total sleeper. Local sticks refer to it as the “SoCal Clear Lake” for its similarities to the famous Clear Lake farther north. Its lunker largemouths and stripers get fat on the abundant trout. Eagle River was sadly rendered lifeless by heavy metals from mine runoff in the 1980s. 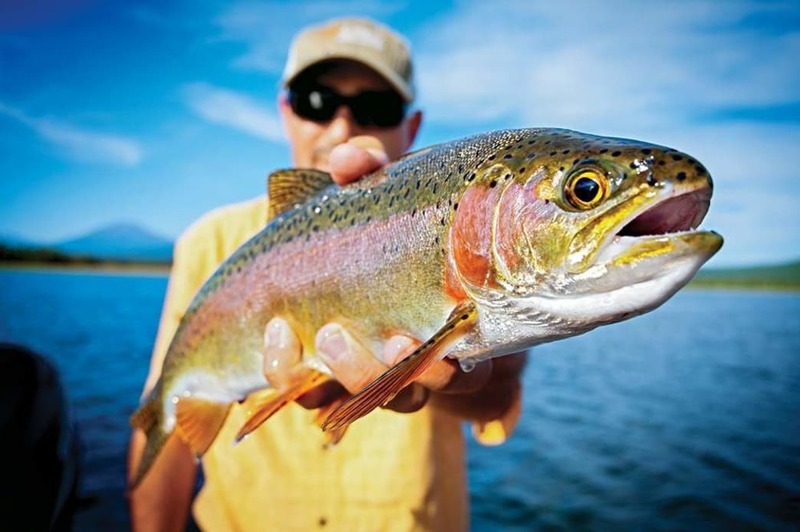 Eventually, the mine water was diverted to holding ponds, and after years of recovery, the populations of rainbows, cutthroats, and cutbows have made an incredible comeback. Though the state of Connecticut has some very notable wild trout streams and rivers by East Coast standards, you may not have heard of this tailwater. Improved year-round flows, new catch-and-release regulations, and an extended Wild Trout Management Area have all contributed to a major bounce back for the Mill, where wild brook and brown trout numbers continue to climb. Blue catfish and northern snakeheads are both invasive species in Delaware, but love or hate them, they’ve made the Nanti­coke the state’s hottest fishing spot. Delaware has even ­established a state-record slot for snakeheads thanks to their abundance here. The current record weighed just over 12 pounds. Fertilizer runoff wiped out the hydrilla in the Harris Chain in the ’80s, resulting in algae blooms, low oxygen, and multiple fish kills. Fast forward to 2018: After numerous rejuvenation projects, you’d need almost a 40-pound bag to win a bass tournament here. It's the shirt that Trout Unlimited said was "clearly designed by fishermen, for fishermen" and "stylish enough for post-fishing cocktails." The striper fishing in Georgia’s Lake Lanier is no secret. But the fish that make their way up into the Upper Chattahoochee get much less attention. The stripers follow the plentiful shad schools, feeding in true blitz fashion. Bass fishing doesn’t jump to mind when you think of fishing Hawaii. But the North Fork of the Wailua on Kauai has surprisingly good smallmouth action that continues to improve due to a lack of fishing pressure. Those in the know routinely hit smallies over 3 pounds. 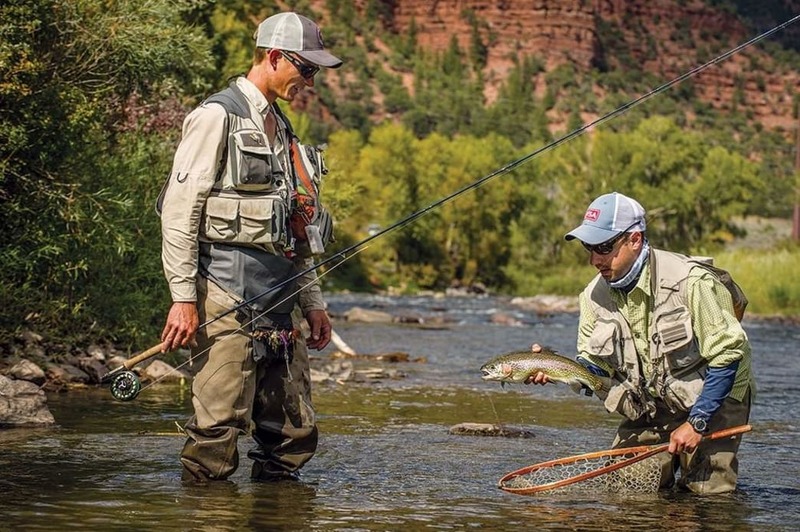 Idaho’s trout get a ton of pressure. Because of this, the best new hotspots have come at the end of short hikes in the ­McCall area. High-mountain waters such as Pistol Lake are somewhat remote and filled with rainbow trout that don’t see many flies or lures. According to local sharpies, Lake Springfield is up and coming as a serious panfish producer. Other area lakes get the majority of the pressure, but tighter restrictions on Springfield have created a superb crappie fishery. A 10-inch size limit and a 10-fish creel limit ensure plenty of fish stay in the water. The state of Indiana renovated the fish population in West Boggs Creek Lake in 2014 due to an overabundance of gizzard shad and carp. Gamefish like largemouth bass and channel catfish were removed and later returned. Since replanting, the bass are growing fast, as are the catfish and panfish populations. Little River Watershed Lake has undergone recent renovations, and the improved structure and expanded access have helped establish it as one of the best lakes in Iowa. Massive bluegills, above-average bass, and trophy-class walleyes complement a population of lesser-known giant channel cats. Blue catfish were first stocked in Milford Lake in the 1990s. Since then, continued stocking efforts and strict regulations have resulted in a true trophy fishery. Fish over 40 pounds are very common, and blue cats over 80 are being caught with increased frequency. Kentucky’s Cave Run Lake has drawn national attention for its muskie fishery and created a demand for others like it in the state. A stocking program was started five years ago in Dewey and is shaping up very well. The lake has a huge forage base of shad, and the structure-rich shallows are perfect muskie habitat. Toledo Bend is a well-known body of water, but it made our list of new hot spots for a specific reason. Just over 10 years ago, the reservoir was stocked with Florida-strain largemouth bass. Being a big lake with lots of threadfin shad, Toledo Bend is producing an exceptional number of hawg bass today. The overwhelming majority of anglers who travel to Sebago are itching for lake trout and salmon. That means the lake’s pike and crappie populations have been left virtually untouched. There is little fishing pressure for these species, which explains why bait shops are routinely weighing in pike and crappies that surpass the current state records. While the lower Potomac gets attention for its blue cats and stripers, the walleye fishing on the upper river is hush-hush. Surveys of marked fingerlings show half the surviving fish are from stocking and the other half are naturally reproducing. This pristine, bait-rich ­reservoir is limited to shore fishing only, which drastically reduces the pressure, in turn helping the massive bronzeback population thrive and kick out plenty of quality fish. In 2003, the dam at Silver Lake Basin failed, releasing 9 billion gallons of water. Low water levels following the failure and several years of repairs wiped out the trout population, but the northern pike that found their way in during the breach have taken a strong hold. Mid-40-inch fish are there for the taking. Big Stone Lake has become a panfish mecca. Sitting on the border of South Dakota and Minnesota, it benefits from both states’ stocking programs. Thanks to tight bag regulations, many perch grow over a pound and bluegills exceed 11 inches. Construction on the Lake Lamar Bruce Dam was completed in 2012, and ever since, the bass fishing has exploded. In addition to the dam work, the state added in the formation of underwater islands. It’s a whole new lake, where largemouths weighing 6 to 10 pounds are common. Bull Shoals Lake is a storied body of water with a new tale to tell. In the past six years, the lake has seen three 100-year floods. The high water has given walleye and largemouth fry lots of hiding places, helping to promote incredible spawns. After the completion of the lower spillway on Hebgen Dam, the Upper Madison River is running considerably cooler than it has in the past. These cooler temps are bringing back explosive caddis and salmonfly hatches, and the river is estimated to have up to 3,000 trout per mile. Elwood Reservoir saw a drastic reduction in its walleye and hybrid striped bass populations from 2009 to 2015 due to low water. In the past two years, however, improved water levels have led to a resurrection of these fisheries. In 2016 and 2017, the largest samples of fish to date were recorded, including loads of 25-plus-inch walleyes. 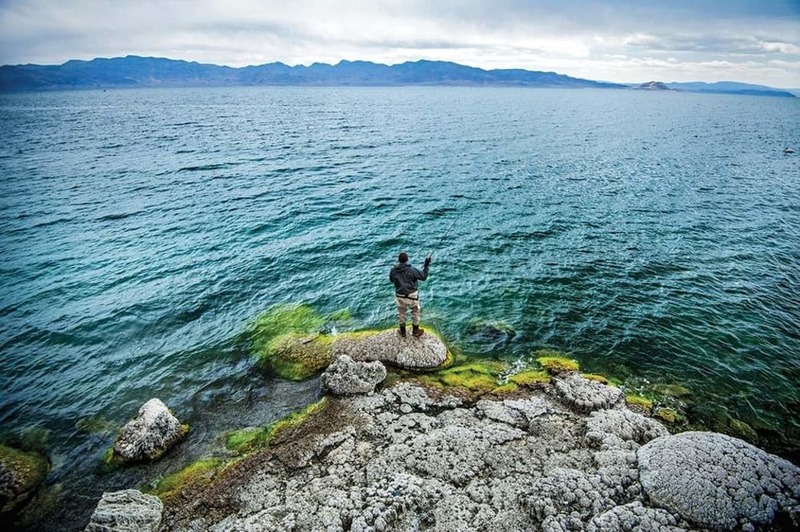 Cutthroat trout in Pyramid Lake were fished nearly to extinction. In the last few years, however, the state started releasing Pilot Peak Lahontan cutthroats into the Truckee Basin, which helped repopulate Pyramid Lake with trophy cutties. This fishery is now on the rise and expected to reach new heights in the next few years. The Connecticut has had its ups and downs over the years, but in the New Hampshire stretch, walleye fishing is on a huge upswing. This stretch sees little pressure outside of the locals, which helped the walleye fishery to redevelop largely unmolested. Thirty-inchers are appearing with more regularity. Several dam removals on the Raritan’s lower end have boosted runs of shad, herring, and striped bass over the last few years. The river also boasts a healthy smallmouth population, as well as some of the biggest carp in the state in its tidal section. After a seven-year drought, improved flows and a booming baitfish population have pushed walleye fishing in the Rio Grande through the roof. Best of all, virtually no one knows about it. 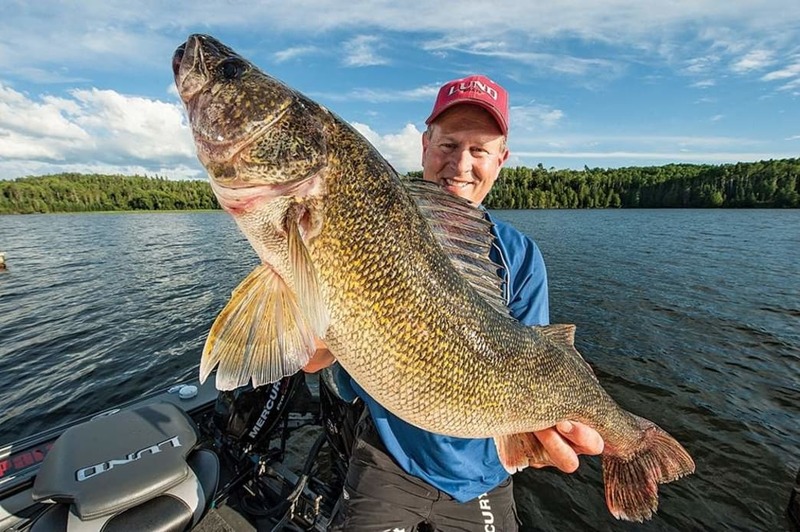 Walleyes to 34 inches and 12 pounds are not unheard of, and anglers can limit out fast. The streams of the Catskills and Hudson River Valley are famed for their trout fishing, but when the water warms in summer, fly enthusiasts have turned to a newly recognized carp fishery on Wappinger Creek. The composition of the river makes it perfect for stalking and sight-fishing. When it comes to North Carolina blue cats, lakes Gaston and Kerr get all the attention. Their popularity, however, has let Badin Lake and its trophy fishery develop. With the lack of pressure and a healthy supply of baitfish, Badin blue cats are growing big. In fact, state biologists and local sharpies agree Badin may produce the next state record. Beginning in 2008, improved water levels in Sakakawea began fueling great northern pike year classes. With prime habitat and a solid forage base of smelt, the lake has blossomed into a top-shelf heavyweight pike fishery. Ohio muskie fisheries don’t get much attention from outsiders, and with other state muskie waters getting the majority of the pressure from local anglers, Clear Fork Reservoir has developed into the new honey hole. Studies show that only a small percentage of Clear Fork’s muskies have been caught more than once, indicating a strong population. The smallmouth population in Lake Tenkiller has recently gone off the chain thanks to stockings of Great Lakes–strain fish. In addition, an infusion of nutrients from the Illinois River Watershed has resulted in more vegetation. This has strengthened the food chain with a larger forage base, helping the smallmouths reach top-end weight quickly. Crane Prairie Reservoir is a comeback story. An introduction of largemouth bass changed the reservoir’s dynamics, and stickleback infestations decimated fly hatches that supported Crane Prairie’s rainbow trout. With the stickleback gone and the lake in balance, the trout have bounced back big time. Lake Erie has been more historically known for pollution than quality fishing. Slowly but surely, that has been changing, and Erie is currently firing on all cylinders. The lake now supports healthy populations of numerous freshwater species, including panfish, walleyes, smallmouths, and steelhead. The flourishing fishery is a direct result of better water quality, which boosted the forage base. Ironically, the Ocean State is home to the some of the largest freshwater fish in New England. Among carp anglers, mirror carp are special and sacred, and the Blackstone River may have the most plentiful population of them in the country. Because carp fishing is still not as popular in the U.S. as elsewhere, the Blackstone’s monsters also aren’t overly pressured. Lake Wateree is another body of water that has benefited from the popularity of other local waters. With Santee Cooper drawing massive catfish crowds, less-pressured Wateree has seen a boom of blues, channels, flatheads, white cats, and bullheads. The lake is teeming with threadfin and gizzard shad, propelling the kitties to massive sizes. Deerfield Lake has traditionally supported good numbers of rainbow and brook trout, in addition to a huge perch population. To create a second lake trout fishery next to well-known Lake Pactola, the state has been stocking adult-size lakers. This not only established an immediate lake trout fishery but also culled the perch population, allowing a lot of the remainder to grow huge. Watts Bar Lake is an impoundment of both the Tennessee and Clinch rivers. In 2008, life in the lake came to a halt after 1.2 million tons of ash were accidentally spilled. It took years to recover, but Watts Bar is now chock-full of shad and skipjack that provide plenty of protein for the lake’s big, hungry cats and stripers. It can take time, strict regulations, and a healthy forage base to set a lake ablaze, but that’s exactly what’s happened at O.H. Ivie. 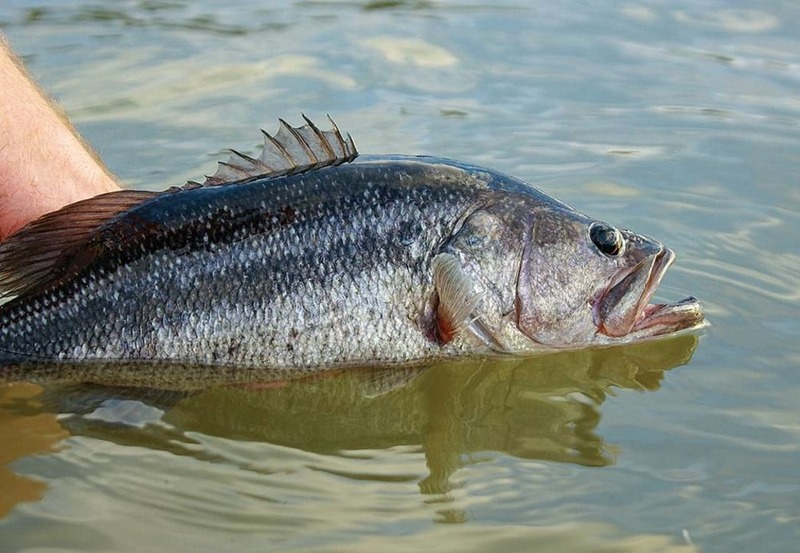 A change in regulations that prohibited keeping fish above 18 inches has led to a spike in big bass. Texas records trophy catches through entries into its ShareLunker program, and currently, only Lake Fork is producing more double-digit fish than O.H. Ivie. Utah may be considered a trout state, but Pineview Reservoir has one of the best tiger muskie fisheries in the country. The size and number of tigers in Pine­view was already astounding, but a 2017 stocking of an additional 20,000 of these fast-growing fish has made your odds of sticking a trophy tiger better at Pineview than anywhere else in the U.S.
Champlain has always had a world-class bass and pike fishery, but we bet you didn’t know about its muskies. The muskellunge was native to Champlain until they were wiped out by overfishing and poor conservation efforts. The state reintroduced the fish in the northern reaches of the lake, and the effort is paying dividends. While the muskie fishing in the James is no secret, it has never been better. The state discovered muskies were reproducing in the James in the ’90s, and the population of fish is now abundant and self-sustaining. The James is also not as big and deep as other rivers, which greatly increases your chance of encountering a fish. The Columbia River is famed for its salmon, but with recent salmon runs being subpar, ­anglers are enjoying the ­incredible walleye population that has developed. Walleyes have been in the Columbia since the ’60s but have really taken off in the last decade. With an abundance of salmon and steelhead smolt to gorge themselves on, it doesn’t take the Columbia’s walleyes very long to grow massive. The Cheat was once a dead river due to severe mine drainage. That began to change after 1972 with the passage of the Clean Water Act. The process has been slow, but in recent years the smallmouth population has bounced back strong. Annual state surveys are finding that from year to year, the smallmouth population is increasing dramatically. Wisconsin has no shortage of muskie water, but Lake ­Geneva has recently become a new ringer. Muskies were first stocked in Geneva in 2010, and the fishery is now taking hold. With deep water, shallow flats, and plenty of weed growth, the habitat is prime for growing muskies. Geneva is also loaded with panfish and ciscoes to help fatten them up. 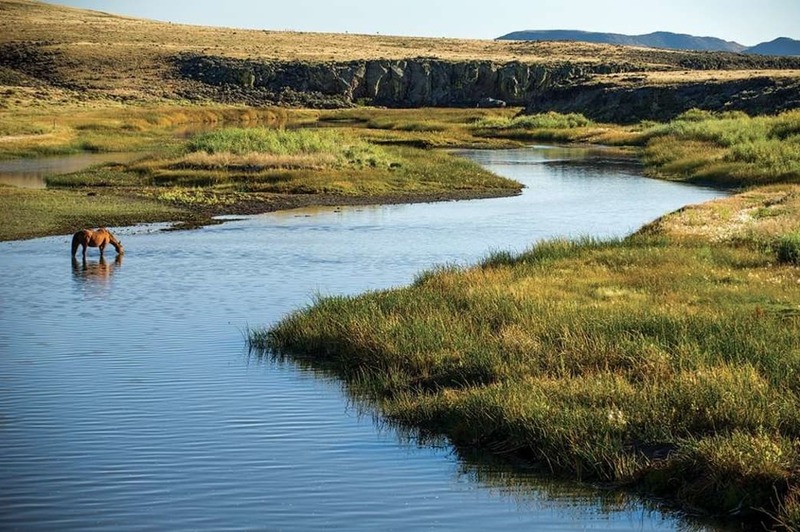 The Salt is one of the few ­rivers in Wyoming that doesn’t get much fishing pressure, largely because it’s bordered mostly by private property as it flows through a valley in the Salt River Mountain Range. This limits anglers to fishing the fertile, spring-fed river by drift boat, but those who row it have a serious shot at browns measuring better than 30 inches.